Tinkerers, inventors and problem solvers — those with a creative vision for how to develop, build or improve a machine or mechanical process — are ideally suited for a degree in mechanical engineering. At SVSU, you'll find an ABET-accredited ME program that is interactive and fast-paced, providing the knowledge and skills that enable you to unlock the secrets behind mechanical devices and make discoveries as you address complex problems. Megan brings perseverance and positivity to every challenge she’s faced during her time at SVSU. Whether she’s defying the odds in a profession dominated by males or serving as a liaison between students and faculty as a leader in Forever Red, Megan has shown confidence in her ability to find and implement solutions as a critical member of the team. Through the real-world research and internships SVSU has provided, Megan has realized she doesn’t want to sit behind a desk all day making models. She prefers meeting face-to-face with customers to address their needs. Mechanical engineering includes a comprehensive course of study incorporating General Education, chemistry, physics, math and advanced engineering courses. The department recommends taking those courses in a specific sequence so your education continually builds upon what you’ve learned. This sequence includes a number of electives so you can customize your degree to the subject matter that most interests you. Housed in Pioneer Hall, the mechanical engineering department has access to 17 modern laboratories that support teaching, student research and extracurricular projects. From solid prototyping to soft tissue engineering, Cardinal engineers at the undergraduate level gain a working knowledge of research and design with plastics, metals and even biomaterialslike ethanol and wind. During your time with the engineering department, you’ll quickly discover the only limits on what you could learn are dictated by you. Explore the full range of SVSU’s facilities for yourself. Honor societies, research experiences, extracurricular teams — when it comes to mechanical engineering, SVSU offers you a range of ways to apply your knowledge and skill. Our students compete and present on both the national and international level. It turns out, that’s just part of what it means to pursue engineering at SVSU. As an engineer, you can bring precision and innovation to virtually any field you desire. Guide missiles, bring biomedical advancements, consult with scientists or run a mechanical line for a corporation. At SVSU, we believe in unleashing infinite opportunities for you to explore. So go ahead, pick a career path without limits. When SVSU students graduate, their employers often report they hit the ground running on their first day. Cardinals have advanced in jobs where they invent new machines, new methods for manufacturing and radically improve the world. 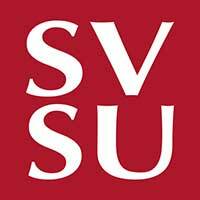 Explore a few Cardinal outcomes more in depth, and join the ranks of the fiercely proud SVSU engineers.